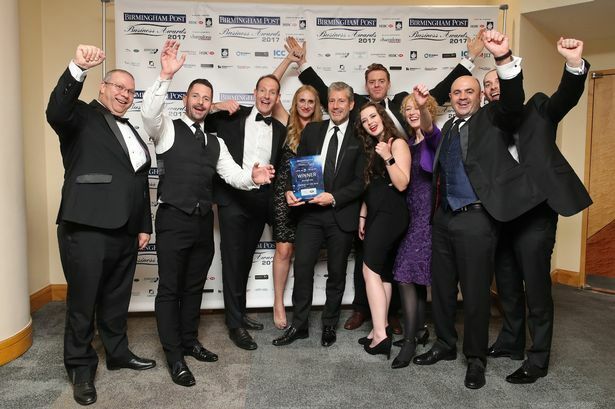 They were double winners at the Birmingham Post Business Awards last year. Now Wesleyan – a financial services mutual which is one of Birmingham’s oldest businesses – is returning to our prestigious event as category sponsor. Founded in 1841, the Wesleyan is proud to sponsor the Professional Services award at this year’s ceremony at the ICC on Thursday November 1. Last year the company scooped the top award – Company of the Year – as well as taking home the trophy for Contribution to the Community. Wesleyan, like other category sponsors, is selecting a shortist for the award, which will be announced in October. Craig Errington, Wesleyan Group Chief Executive, said: “As one of the city’s oldest companies, we have a long relationship with the professional services sector in Birmingham, which continues to grow and thrive. Initially established to help workers save for sickness and funeral expenses, Wesleyan now provides tailored financial advice and products to select professional groups. These are notably GPs, hospital doctors, dentists, teachers and lawyers – and a range of commercial financial products for the organisations in which they are employed. It has over 1,000 staff based in its head office in Birmingham city centre. The firm plays a supporting role in the regional economy and is very much an active member of the business community. Craig added: “We have a flourishing apprenticeship and mentoring scheme designed to develop new talent within the region and encourage people into a career in financial services through non-traditional routes. He continued: “We are committed to creating a truly representative and inclusive workforce as we recognise that this will lead to better decision making and enhanced customer outcomes.